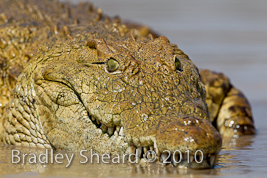 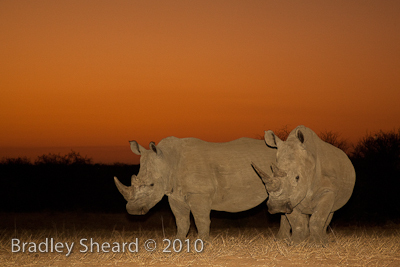 In September 2010 I had the privledge to experience some of South Africa's wildlife with 'Wild4 Africa Photographic Safaris.' 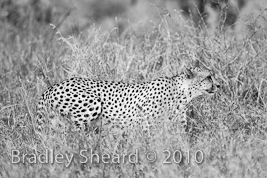 Wild4 is a small, family owned business, run by Stu and Justyna Porter, that specializes in taking small groups of photographers on safari. 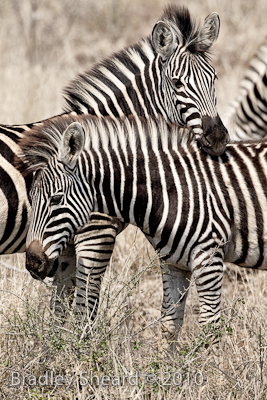 The trip was outstanding in every respect, and I would hardily recommend their excellent operation to anyone interested in such a trip. 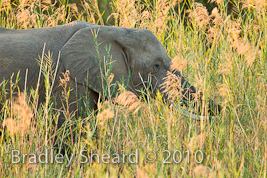 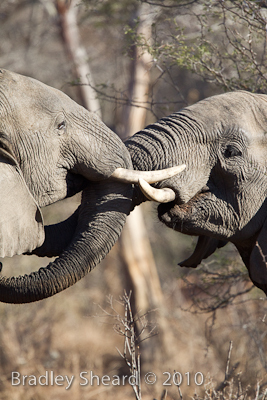 Here is a selection of wildlife images shot in South Africa's Kruger National Park and Tsukudu Reserve. 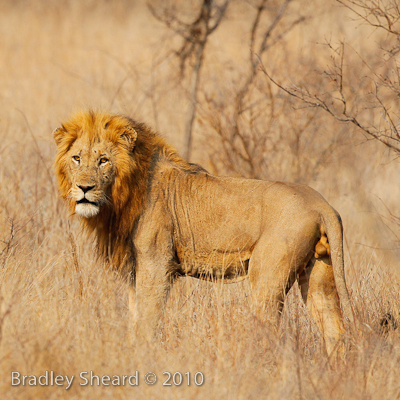 While there is an endless variety of wildlife in Africa, sometimes it's all about the Big Cats! 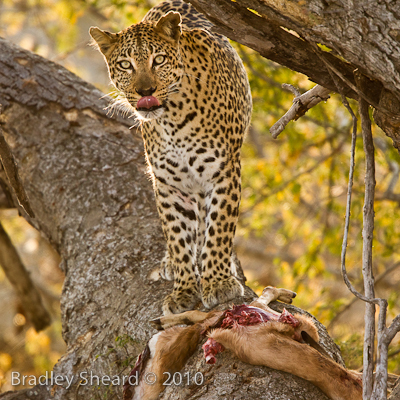 Above left is a leopard up a tree with an impala kill; above right is a large male lion (both Kruger Park). 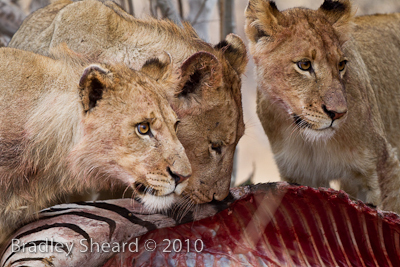 Below left three young lioness enjoy a fresh zebra kill (Tshukudu Reserve); below right a cheetah scans the surrounding plains (Kruger Park). 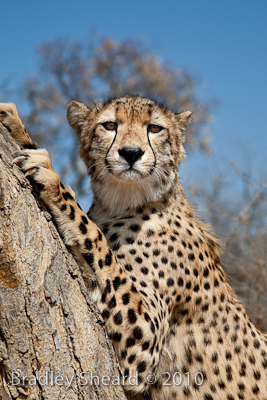 Of course there is more to see than just Cats. 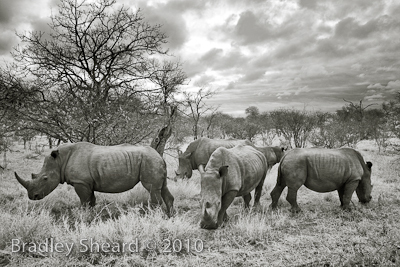 Above left jousting elephants, center two giraffe and at right zebra, or lion food (all Kruger Park). 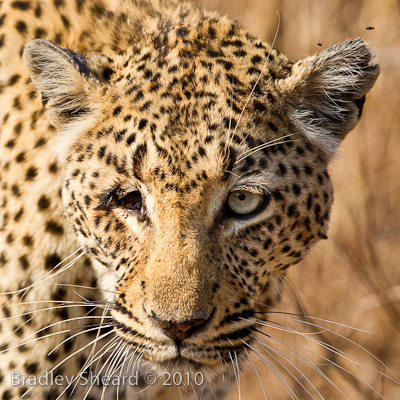 In Kruger one morning we spotted a one-eyed leopard who had obviously had a bad day sometime recently (above left). 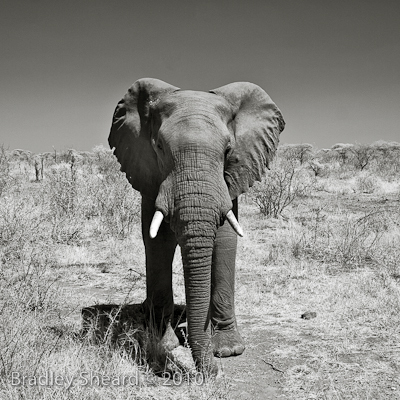 A large elephant contemplates the safari vehicle (above right, infrared image). 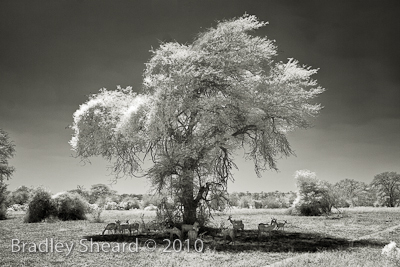 During the heat of midday most animals take refuge under the shade of a tree like these impala (above left, infrared, Kruger Park). 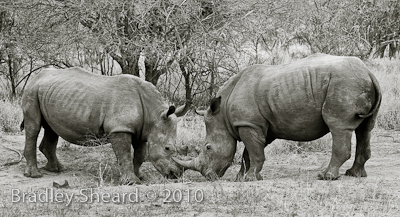 Two white rhinoceros face off (above right, Tshukudu Reserve). 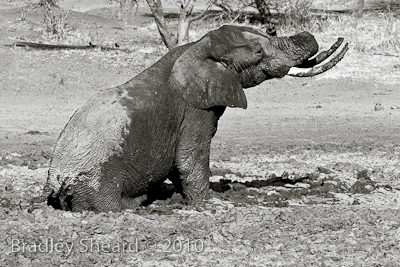 A young elephant enjoying a mudbath (above left, Kruger Park). 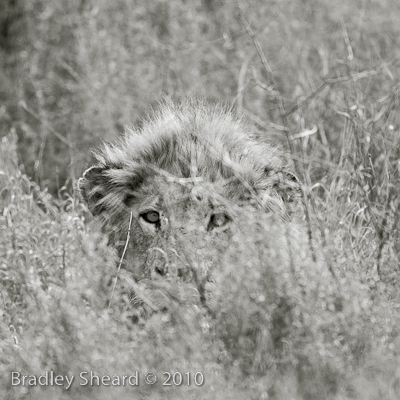 Male lion camouflaged in tall grass (above right, Kruger Park). 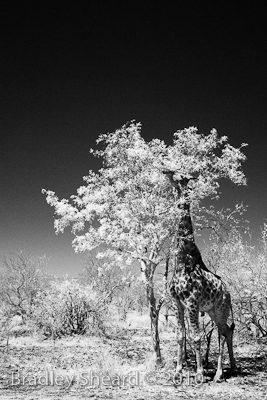 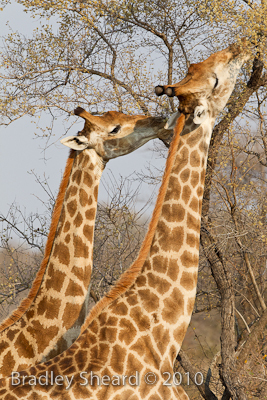 Giraffe feeding (above left, infrared, Kruger Park). 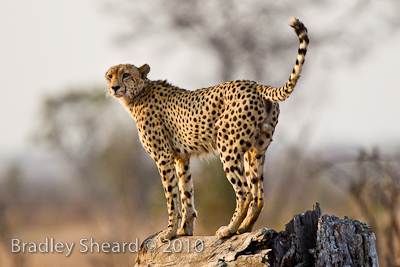 Cheetah (above right, Tshukudu Reserve).